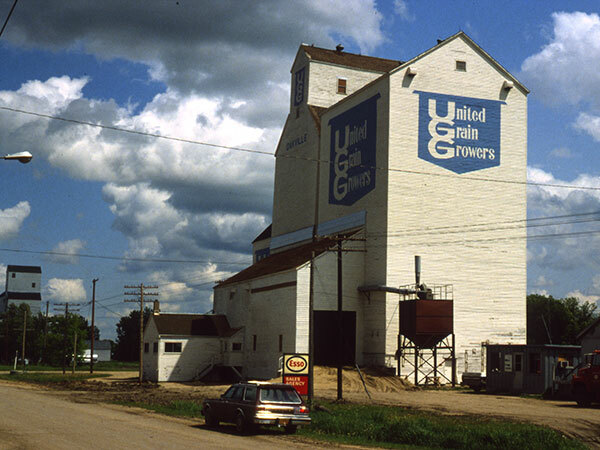 In 1933, a grain elevator in Oakville, on the CNR Gladstone Subdivision in the Rural Municipality of Portage la Prairie, was built by United Grain Growers, replacing an earlier elevator at the same site. Annexes were added to it in 1949 and 1967. 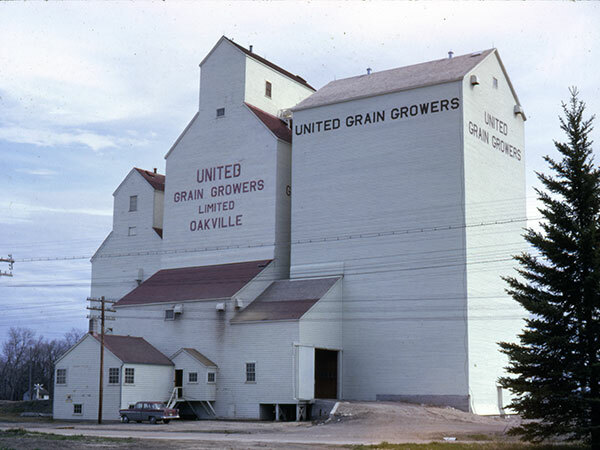 United Grain Growers Fonds, MSS76, Box 60 [Oakville], University of Manitoba Archives & Special Collections.